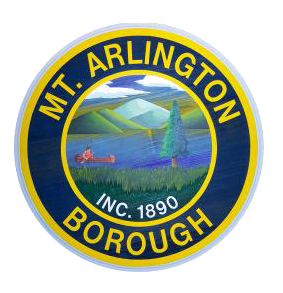 The Mount Arlington Borough Council is a body of six elected officials. Council members elect a President among themselves. The Council President is responsible for presiding over Council meetings, establishing committees, and appointing committee chairs. The role of Council is to serve as civilian oversight of all activities of the Borough, including the management of Borough employees. The Borough Council is responsible for making policy, passing ordinances, voting appropriations, approving all personnel decisions, and establishing and maintaining the Borough’s budget. The Council also works with local agencies and business’s to find ways to stimulate economic development. Below is a list of Borough Council Members and their phone numbers. If you would like to contact Council Members by Email please contact the Clerk’s Office at [email protected] or [email protected]. Council meetings are usually held the first Tuesday of each month, at 7pm at the Borough Hall. Check Borough Calendar for official dates and changes in meeting schedule. The Borough Council is highly receptive to the concerns of residents. To submit a question, concern, or comment, to the council, please fill out the form.